I love making custom order cards. 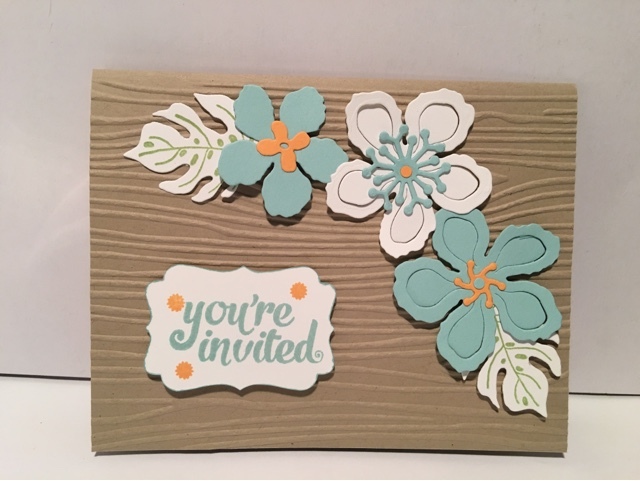 This was a fun order of invitations for a Hawaiian BBQ. Of course while brainstorming a design, I cut out all sorts of options. 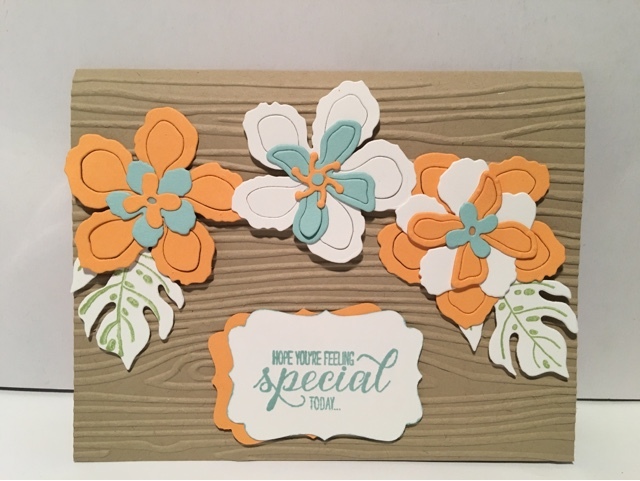 Then when the design is finalized I take my leftover pieces and use them up to create unique layouts to send to customers. Isn't this tropical and summery? I think a lucky customer will love to receive this! All of the supplies are listed below and link to my online store or you are welcome to order directly with me. I am so glad you came to see today's cards! Please leave a comment and let me know what colors you would want to use for these stamps.